Get Ya Mind Correct is the debut studio album by rappers Paul Wall & Chamillionaire of The Color Changin' Click, released when they were both on the Paid In Full Label. It was notable in the Houston underground rap scene when it managed to sell over 350,000 copies independently without the distribution backing of a major label. The album peaked at #67 on the BillboardTop R&B/Hip-Hop Albums chart. The album was nominated for Indie Album of the Year in The Source magazine. Paul Michael Slayton, better known by his stage name Paul Wall, is an American rapper and occasional actor from Houston, Texas. He has spent much of his career affiliated with Swishahouse Records, and has released several albums under the label and collaborated with numerous other rappers signed to the label. He began his career performing alongside Chamillionaire with whom he released several albums, including 2002's independently released Get Ya Mind Correct, which went on to sell over 350,000 copies despite no major label distribution. In 2005, he was signed to Atlantic Records and became successful with his major-label debut The Peoples Champ. Get Money, Stay True followed in 2007. 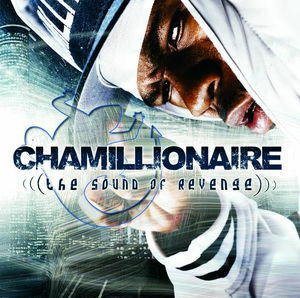 The Sound of Revenge is the debut studio album by American rapper Chamillionaire. It was released on November 22, 2005. The album features guest appearances from Lil' Flip, Lil Wayne, Rasaq, Natalie Alvarado, Krayzie Bone, Bun B, Scarface, Billy Cook, Killer Mike and Pastor Troy, with its production handled by Scott Storch, Mannie Fresh, Play-N-Skillz, Cool, and Dre, among others. He currently serves as the CEO of Chamillitary Entertainment. Chamillionaire was also the founder and an original member of the Color Changin' Click until the group split in 2005. The chief executive officer (CEO) or just chief executive (CE), is the most senior corporate, executive, or administrative officer in charge of managing an organization – especially an independent legal entity such as a company or nonprofit institution. CEOs lead a range of organizations, including public and private corporations, non-profit organizations and even some government organizations. The CEO of a corporation or company typically reports to the board of directors and is charged with maximizing the value of the entity, which may include maximizing the share price, market share, revenues or another element. In the non-profit and government sector, CEOs typically aim at achieving outcomes related to the organization's mission, such as reducing poverty, increasing literacy, etc. Chamillitary is an entertainment company owned and run by rapper Chamillionaire. It was distributed by Universal until January 15, 2011 because Chamillionaire and the label parted ways. It has since been an independent record label company. The Color Changin' Click, is a local hip hop group formed in 2001 by Chamillionaire and Paul Wall The group disbanded in 2005. Chamillionaire and Paul were part of a group prior to Color Changing Click called The Sleepwalker. It's unclear if there were 3 or 4 members of the group, but PKT was definitely part of the group. Not much more is known about the group other than they used to open up for Swishahouse members prior to being in Swishahouse themselves. Ammunition is an extended play by American rapper Chamillionaire. It was released on March 20, 2012, by Chamillitary Entertainment. Ammunition is Chamillionaire's first major album release since his second studio album, Ultimate Victory (2007). 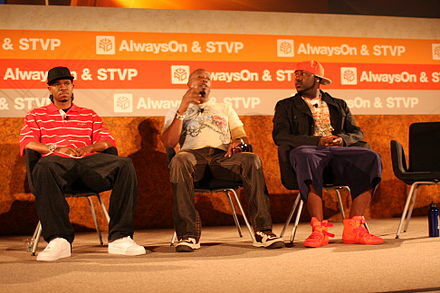 With production handled by The Beat Bullies, and CyFyre, among others, and collaborated with artists such as Angel, Saigon and Marcus Manchild. Elevate is the second extended play released by American rapper Chamillionaire in promotion of his third studio album, Poison. It was released on February 12, 2013 by his label Chamillitary Entertainment. Upfront Ventures, formerly known as GRP Partners, is a Santa Monica-based venture capital company. According to the Los Angeles Times and Recode, Upfront Ventures is the largest venture capital company in Los Angeles, with $2 billion in total raised funds according to the LA Times. Upfront Ventures has provided venture capital for companies that include Office Depot, Starbucks, P. F. Chang's China Bistro, Disney Digital Network, Ring and TrueCar, among others. Chameleons or chamaeleons are a distinctive and highly specialized clade of Old World lizards with over 160 species described as of June 2015. These species come in a range of colors, and many species have the ability to change color. A millionaire is an individual whose net worth or wealth is equal to or exceeds one million units of currency. It can also be a person who owns one million units of currency in a bank account or savings account. Depending on the currency, a certain level of prestige is associated with being a millionaire, which makes that amount of wealth a goal for some and almost unattainable for others. In countries that use the short scale number naming system, a billionaire is someone who has at least a thousand times a million dollars, euros or the currency of the given country. (left to right) Chamillionaire, MC Hammer and Mistah F.A.B. at TechCrunch in 2008. "Turn It Up" is the 2005 debut single of Chamillionaire, featuring Lil' Flip. It was produced by Scott Storch. "Turn It Up" was the first single from Chamillionaire's major label debut album, The Sound of Revenge.The music video is filmed in Houston, and features cameo appearances by Crooked I, Mannie Fresh and Chamillionaire's brother Rasaq. Lil' Flip is noticed wearing a "Free Cassidy" shirt in the video, showing his support for Cassidy (rapper) while he was in jail for attempted murder. It peaked at number 41 on the Billboard Hot 100. Wesley Eric Weston Jr., better known by his stage name Lil' Flip, is an American rapper. He embarked on his musical career as a freestyle and battle rapper before earning a record deal with Suckafree Records in 1999. Lil' Flip is best known for his singles "The Way We Ball", "Game Over" and "Sunshine". To promote his new album, Chamillionaire released Mixtape Messiah 3 as a prelude to his new album on July 18, 2007, at 11pm Eastern Time on his website. Chamillionaire released his second mainstream album Ultimate Victory on September 18, 2007. Ultimate Victory was made without a single profanity said by Chamillionaire. Guest appearances included UGK, Krayzie Bone, Lil Wayne, Famous (Lil Ken), Tony Henry, Devin the Dude and Lloyd. The first single was "Hip Hop Police", featuring Slick Rick, which both Chamillionaire and Slick Rick performed on the CBS television network program Late Show with David Letterman on September 14, 2007. The following single is "The Evening News." On December 23, 2009, Chamillionaire announced via his YouTube page that he would be initiating a new mixtape series entitled "Major Pain" through his website by dropping a disc entitled Major Pain on February 2, 2010. Due to the 2010 NBA All-Star Game taking place in Dallas, Texas, Chamillionaire released a new song, "The Main Event", on February 11, 2010, via free download. It features fellow Texas rappers Paul Wall, Slim Thug & Dorrough. "Every artist on the song with me has independent hustle and strength in the streets," he said. "It's an All-Star song, so what better place to shoot the video than All-Star Weekend, right here in our own backyard." It was later released to iTunes on June 8, 2010. On Chamillionaire's official website, he stated: "Right now the Venom album is set for March 16 and has been pushed back just like Lil Wayne's Rebirth, Game's Red album, and countless other hip-hop albums that this happens to." The date was later pushed back to June 22, but was not released that day. Venom has been confirmed as canceled as Chamillionaire has parted ways with Universal. The album was later released on DatPiff in 2011 as a bootlegged mixtape made by the fans. Everyday I watch the news and look at how crazy the world is. It humbles you to see other people's problems and to see the amount of adversity others seem to be going through. If you think you're going through hard times, you can always turn on the TV to see someone else who's going through things 10 times worse than you. But then again, the media will also dedicate a majority of their time focusing on topics that I feel are not as news worthy, often times making celebrity gossip their main focal point. I wanted to do a record with some social commentary but also not be too heavy handed when it comes to discussing the stuff that we should really be focusing on. I wanted to find the perfect balance and go right down the middle." Chamillionaire was born to a Muslim Nigerian father and an African-American Christian mother in Washington D.C., and moved to Houston, Texas at the age of four. Chamillionaire's parents separated in his early teenage years. He settled into a notoriously dangerous inner-city neighborhood in North West Houston called Acres Homes. King Koopa: The Mixtape Messiah is a mixtape by Houston rapper Chamillionaire. It was released on February 15, 2004. The tape featuring 61 tracks over three CDs, this triple album is the longest and most bought mixtape in Texas history. It is the first mixtape in the Mixtape Messiah series. The mixtape established Chamillionaire as one of the premier artists in the Southern rap music industry at the time of its release and was the pivotal mixtape that developed his fan base and ability to obtain mainstream success with the release of The Sound of Revenge years later. "Put You on the Game" is a single by American rapper and West Coast hip hop artist The Game, released as the final single from his debut album, The Documentary. Written by The Game himself and produced by both Timbaland and co-produced by Danja, the song was the album's fifth official single, and it was released on August 30, 2005. This was the first single released by The Game after a beef with former fellow G-Unit member 50 Cent fell apart and after The Game released the mixtape titled You Know What It Is Vol. 3. Also failing to match the popularity of his previous singles, and failing to chart on the Billboard Hot 100, the song peaked at number 96 on the Hot R&B/Hip-Hop Songs chart. The song was placed 44th on About.com's Best Hip-Hop Songs of 2005. Frazier Othel Thompson III, better known by his stage name Trae tha Truth or simply Trae, is an American hip hop recording artist from Houston, Texas. Apart from his solo career, Trae is also known as a member of the underground rap collective Screwed Up Click, as well as one-half of the Southern hip hop duo ABN, and one of the founding members of the group Guerilla Maab, alongside fellow rappers Z-Ro and Dougie D. Trae tha Truth currently hosts Banned Radio on XXL, on Dash Radio. "Still Tippin" is the first single taken from the Mike Jones album Who Is Mike Jones?. Prior to this, it was also used in 2004 as a single to promote Swisha House's compilation album, The Day Hell Broke Loose 2. This is the discography of American rapper Paul Wall from Houston, Texas. Mixtape Messiah 3 is a mixtape by southern rapper Chamillionaire. This is the third in the Mixtape Messiah It was released as a free download on Chamillionaire's website on July 18, 2007 at 11pm EDT to promote his album Ultimate Victory, then scheduled for release three months later. The free The Mixtape Messiah DVD, a compilation of interviews, show performances, backstage tour footage, and in-studio footage, was released at the same time. "For a Minute" is a song by American hip hop recording artist B.G., released as the first single from his tenth studio album, Too Hood 2 Be Hollywood. The song, which features vocals from fellow American rapper T.I., was produced by Scott Storch. Michael Jones, is an American rapper, actor, and entrepreneur. Jones reached national fame in 2005 on Swishahouse with the release of his breakout single "Still Tippin'", which peaked at #60 on the Billboard Hot 100, and led to Jones releasing his debut studio album Who Is Mike Jones? on April 19, 2005, which peaked at #3 on the US Billboard 200 and is certified platinum by the Recording Industry Association of America (RIAA). Peter Cory Pankey, Jr., better known by his stage name Cory Gunz, is an American rapper from The Bronx, New York City, New York. Gunz is currently signed to After Platinum Records, Young Money Entertainment, Cash Money Records, and Universal Republic Records. Mixtape Messiah 7 is a mixtape by southern rapper Chamillionaire. It is also the final mixtape in the Mixtape Messiah series. Disc 1 was mixed by Michael "5000" Watts and disc 2 was mixed by Rapic Ric. Chamillionaire later released a chopped and screwed version of various tracks from the album, and also a regular speed version of the chopped and screwed CD. "The Main Event" is a single by southern rapper Chamillionaire. It is the second single from his cancelled studio album Venom. It features Texas rappers Slim Thug, Paul Wall and Dorrough, and was produced by Scott "CHOPS" Jung. It was later featured on his Greatest Verses mixtapes. Ronald Rummell Coleman, better known for his stage name OG Ron C, is an American record producer, radio personality, DJ, and entertainment and management company executive, who currently signed to OVO Sound and is also an on-air DJ for KQBT 93.7 The Beat. He is the owner of the Houston-based urban music online radio station ChopNotSlop Radio, former DJ of Southern rappers Chamillionaire and Slim Thug. Along with Michael 5000 Watts, he co-founded Swishahouse Records and helped jump-start the careers of Slim Thug, Chamillionaire, Paul Wall and Mike Jones. The leader and founder of The Chopstars. He is most known for his F-Action Series Mixtape which features R&B songs Chopped and Screwed and to date has over 4,200 mixtapes and albums, both at regular speed and chopped and screwed speed. He has sold over 22,000,000 mixtapes and albums to date. He also is the founder of Chopnotslop Radio a 24-hour "Screwed" Radio station dedicated to DJ Screw. 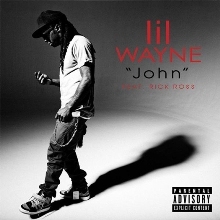 "John" is a song by American rapper Lil Wayne, and the second single from his album Tha Carter IV. The song features rapper Rick Ross, and it peaked at number 22 on the Billboard Hot 100. "John" was released on March 24, 2011, on iTunes. The song uses the hook from Rick Ross' song "I'm Not a Star" from his album Teflon Don. The song title is a reference to English musician John Lennon. Lil Wayne performed the song at 2011's MTV Video Music Awards to the riff of Black Sabbath song, Iron Man. Mixtape Messiah is a series of mixtapes by Houston rapper Chamillionaire. The Mixtape Messiah was his first in the series, which was released on February 15, 2004. Featuring 61 tracks over three CDs, this triple mixtape is the longest and most bought mixtape in Texas history. Mixtape Messiah 7 was released on August 4, 2009, and was officially confirmed to be the final mixtape in the series. ↑ "chamillionaire birthdate - Google Search" . Retrieved March 9, 2015. 1 2 3 Kellman, Andy (2007). "Chamillionaire – Biography". Allmusic. Retrieved February 2, 2008. ↑ Henry Adaso. "Top 10 Rap Songs for October 3, 2007". About.com Entertainment. Retrieved March 9, 2015. ↑ Ozzie (2009). "Chamillionaire's Drops Final Mixtape - Mixtape Messiah 7". Rapsearch.com. Retrieved October 4, 2009. 1 2 "Audio". Chamillionaire.com. Archived from the original on March 24, 2012. Retrieved March 9, 2015. ↑ "Reignfall [Explicit]: Chamillionaire: MP3 Downloads". January 1, 1970. Retrieved July 23, 2013. ↑ Phillips, Rashad (2011-04-18). "Poison to be released shortly, Chamillionaire currently working on it". HipHop DX. Retrieved January 7, 2014. ↑ "Chamillionaire is an entrepreneur-in-residence at Upfront Ventures - Business Insider". Business Insider. February 25, 2015. Retrieved March 9, 2015. ↑ Salt, Limara (2007). ""Not a Criminal" – Review". UKMusic.com. Archived from the original on August 24, 2007. Retrieved February 2, 2008. 1 2 Burnett, John (2005). "Chamillionaire – Doing It My Way". NobodySmiling.com. Archived from the original on June 17, 2008. ↑ "Chamillionaire – The Sound of Revenge". MusicRemedy.com. 2005. Retrieved February 2, 2008. ↑ Clark, Michael D. (March 22, 2004). "SXSW 2004 / Music mavericks". Houston Chronicle. Retrieved January 6, 2011. ↑ "Chamillionaire – Billboard Albums". Allmusic. 2007. Retrieved February 2, 2008. 1 2 "Chamillionaire – Billboard Singles". Allmusic. 2007. Retrieved February 2, 2008. ↑ Montgomery, James (September 1, 2006). "Underdog Night At The VMAs: Panic, Gnarls, Blunt, Chamillionaire Win Big" . Retrieved February 2, 2008. ↑ "Best Rap Performance By A Duo Or Group". Grammy.com. 2007. Retrieved February 4, 2008. ↑ Jeffries, David (2006). ""Straight Outta Lynwood" – Overview". Allmusic. Retrieved February 2, 2008. ↑ "NBA Live 06 Soundtrack". IGN. September 13, 2005. Archived from the original on November 5, 2007. Retrieved February 2, 2008. ↑ Kellman, Andy (2006). "The Sound of Revenge [Screwed & Chopped] – Overview". Allmusic. Retrieved February 2, 2008. ↑ "Jamie Foxx Is Tops With Five BET Nods". CBS News . May 17, 2006. Retrieved December 5, 2008. ↑ McIntee, Michael Z. (September 14, 2007). "Friday, September 14, 2007 – Show #2816". The Wahoo Gazette. CBS. Retrieved February 3, 2008. ↑ Adaso, Henry (November 21, 2007). "Chamillionaire Returns with Mixtape Messiah 4". About.com. Archived from the original on November 26, 2007. Retrieved February 3, 2008. ↑ "Chamillionaire.com" . Retrieved February 3, 2008. ↑ "Platinum Rapper Chamillionaire Readies for Third Major Label Release with Chamillitary/Universal..." (Press release). Universal Records. November 20, 2008. ↑ Koroma, Salima (November 10, 2009). "Chamillionaire Plans Mixtape Messiah 5 And Venom". HipHopDX. Retrieved June 20, 2009. ↑ Chamillionaire (June 3, 2009). "A moment of clarity...…". MySpace. Archived from the original on June 23, 2009. Retrieved June 20, 2009. ↑ Chamillionaire (June 5, 2009). "No retirement…". MySpace. Archived from the original on June 14, 2009. Retrieved June 20, 2009. ↑ Chamillionaire (August 4, 2009). "Mixtape Messiah 7 Released Aug 4, 2009". hiphopspy.com. Archived from the original on August 7, 2009. Retrieved August 4, 2009. ↑ "Music Search - Venom Chamillionaire / CD / 2010". FYE. June 22, 2010. Archived from the original on February 24, 2012. Retrieved March 27, 2012. ↑ "Chamillionaire: Songs, Albums, Pictures, Bios". November 28, 1979. Retrieved March 27, 2012. ↑ Burke, Jack (November 11, 2009). "Weezer's newest album lacks previous "Raditude"". www.sjuhawknews.com. Archived from the original on November 17, 2009. Retrieved November 15, 2009. ↑ "Nick Jonas, Chamillionaire To Appear At Fort Hood Event". Newsroom.mtv.com. Archived from the original on July 16, 2012. Retrieved March 27, 2012. ↑ "CHAMILLIONAIRE INTRODUCES MAJOR PAIN!". Chamillionaire. Archived from the original on April 11, 2010. Retrieved March 27, 2012. ↑ on (December 29, 2009). "Rapper Chamillionaire's Warning To The Majors?! Plans To Bring 'Major Pain'". Hiphoprx.com. Retrieved March 27, 2012. ↑ "Chamillionaire Rounds Up All-Star Texas Line-Up For NBA Weekend Music Video". Ballerstatus.Com. 2010-02-11. Retrieved March 27, 2012. ↑ "VENOM PUSHED BACK AGAIN?". Chamillionaire. Archived from the original on September 26, 2010. Retrieved March 27, 2012. ↑ "Chamillionaire- Nigerian Biography". OnlineNigeria.com. Archived from the original on January 12, 2014. Retrieved January 27, 2014. ↑ "Blogs". ThisIs50.com. March 20, 2012. Retrieved March 27, 2012. ↑ "Chamillionaire-leaves-universal-records-announces-ustream-session". KeepItTrill.com. January 14, 2011. Archived from the original on July 26, 2012. Retrieved January 27, 2013. ↑ "Track 16. Saigon - Keep Pushing (Feat. Chamillionaire)". Rap Radar. August 30, 2012. Retrieved September 23, 2012. ↑ "Untitled Document". Archived from the original on January 9, 2013. Retrieved March 9, 2015. ↑ Michael Rougeau. "Chamillionaire Collaborates On 'No Room in Hell' For 'Dead Island: Riptide'". Complex. Retrieved March 9, 2015. ↑ "Chamillionaire - Elevate EP". Chamillionaire.com. January 17, 2012. Archived from the original on January 20, 2013. Retrieved January 17, 2013. ↑ "Chamillionaire - Timeline Photos - Facebook" . Retrieved March 9, 2015. ↑ "Exclusive Chamillionaire talks independence says poison album is best work to date" . Retrieved September 8, 2012. ↑ "Chamillionaire - Chart history". Billboard. Retrieved August 25, 2013. ↑ "Chamillionaire - Watching Breaking Bad (Feat. Tami LaTrell)". Respect Magazine. 2014-02-14. Retrieved February 14, 2014. ↑ "AllHipHop » Chamillionaire Talks New Album, Business Plans". AllHipHop. Retrieved March 9, 2015. ↑ "Hip-Hop Entrepreneurs - BusinessWeek" . Retrieved March 9, 2015. ↑ "Literature Study Guides". eNotes. Retrieved March 9, 2015. ↑ Alex Russell. "Chamillionaire Is Now An Entrepreneur In Residence At A Venture Capital Firm". Complex UK. Retrieved March 9, 2015. ↑ Editor, M. I. B. (October 22, 2013). "10 Most Successful Hip-Hop Entrepreneurs". Master's in Business Degree Guide. ↑ "A Look Inside The Woodlands Mansion Chamillionaire Gave Back to the Bank - Swamplot" . Retrieved March 9, 2015. ↑ "Victory Tour Bus-Internet Cable Studio DVD Surround Sound Shower photo chamillionaire's photos - Buzznet". Archived from the original on April 2, 2015. Retrieved March 9, 2015. ↑ "Chamillionaire". Online Nigeria. 17 May 2011. Archived from the original on 12 January 2014. Retrieved 29 September 2018. ↑ "Biography of Chamillionaire". 2007. Archived from the original on July 9, 2012. Retrieved February 2, 2012. ↑ "Biography of Chamillionaire". 2009. Archived from the original on July 9, 2012. Retrieved February 2, 2012. ↑ "Chamillionaire Says "Me and the Bank Are Cool," Names New Son After New House - Swamplot" . Retrieved March 9, 2015. ↑ "Chamillionaire - Go Head (Feat. Rasaq) [Paul Wall Diss]". YouTube.com. Retrieved September 25, 2012. ↑ "Paul Wall & Chamillionaire discuss moving past beef; jealousy over each others success". BallerStatus.com. 2010-03-24. Retrieved September 25, 2012. .
↑ Phillips, Rashad (April 18, 2011). "Chamillionaire Releases "Major Pain 1.5," Tracklisting Included | Get The Latest Hip Hop News, Rap News & Hip Hop Album Sales". HipHop DX. Retrieved March 27, 2012. ↑ "Ammunition". Chamillionaire. Archived from the original on March 24, 2012. Retrieved March 27, 2012. ↑ "Elevate". Chamillionaire. Archived from the original on January 20, 2013. Retrieved January 17, 2013. Wikimedia Commons has media related to Chamillionaire .